HomeWe’re Hiring in Rockville, Maryland! We’re Hiring in Rockville, Maryland! We are growing and we are looking to add a passionate Hydraulic Engineer to our dynamic technical staff in the US. Join our small but mighty technical team located in our new Rockville, Maryland office. Work with the industry’s top designers and contractors on projects that are changing the landscape of America. We are seeking an Associate Engineer, Hydraulics for a consultative role providing technical support to consulting engineers, contractors, customers, department engineers, and field marketing personnel in conjunction with the promotion, installation, and evaluation of our hydraulics works solutions. This role will be based out of our new Rockville, Maryland facility. Devising innovative approaches to challenges and preparing or modifying drawings, specifications, calculations, charts, and graphs appropriate for accepted engineering practices and Maccaferri standards. Hydraulic Engineering (MS), or Civil Engineering (BS) with 2 years of experience in Hydraulic Engineering or Storm Water Management or Erosion and sediment control works. You will get an opportunity to work in an exciting and dynamic international environment, surrounded by capable, motivated professionals who work every day to solve the technical challenges facing our clients. We have just relocated our technical, sales, and marketing staff to a new modern office in Rockville, Maryland – just off I-270 near the Downtown Crown. We have an on-site gym and conference center, and we are metro accessible via Uber paid for by the build owner. 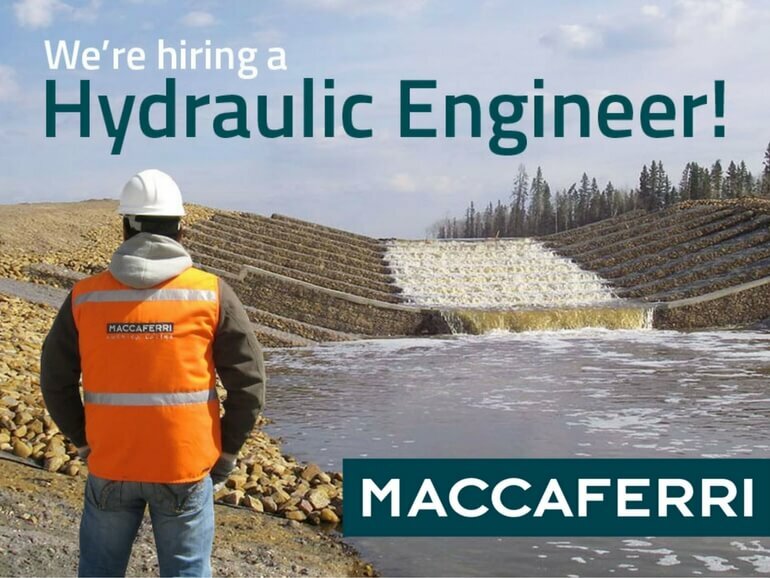 Maccaferri offers competitive salaries, Medical, Dental, and 401k.